Post University is licensed by the state of Connecticut through the Office of Higher Education. The purpose of licensure is to ensure that an institution and its academic programs (traditional classroom and online) comply with the quality standards required to operate in the state. The regulations and standards used by the Connecticut Office of Higher Education can be found at www.ctohe.org. Post University is accredited by the New England Commission of Higher Education. Accreditation of an institution of higher education by the New England Commission of Higher Education indicates that it meets or exceeds criteria for the assessment of institutional quality periodically applied though a peer review process. An accredited college or university is one which has available the necessary resources to achieve its stated purposes through appropriate educational programs, is substantially doing so, and gives reasonable evidence that it will continue to do so in the foreseeable future. Institutional integrity is also addressed through accreditation. Accreditation by the New England Commission of Higher Education is not partial, but applies to the institution as a whole. As such, it is not a guarantee of every course or program offered, or the competence of individual graduates. Rather, it provides reasonable assurance about the quality of opportunities available to students who attend the institution. The New England Commission of Higher Education membership page is located at https://cihe.neasc.org/about-our-institutions/roster#Connecticut. The following degree programs taught within The Malcolm Baldrige School of Business are programmatically accredited by the Accreditation Council for Business Schools and Programs. Accreditation Council for Business Schools and Programs was established in 1988 and is the only business program accrediting agency that offers programmatic accreditation for associate, baccalaureate, and graduate degree programs. Its mission is to promote continuous improvement and recognize excellence for the business programs it programmatically accredits. For more information, visit www.acbsp.org. 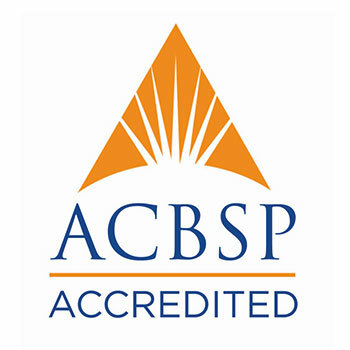 Accreditation Council for Business Schools and Programs membership page is located at https://www.acbsp.org/page/our_members. The Bachelor of Science in Nursing (RN to BSN) program at Post University is accredited by the Commission on Collegiate Nursing Education (http://www.ccneaccreditation.org). The Commission on Collegiate Nursing Education membership page is located at http://directory.ccnecommunity.org/reports/accprog.asp. The names of associations, agencies, or governmental bodies that accredit, approve, or license Post University and its programs may be accessed at https://post.edu/about/accreditation-andecognition. This site lists licensure and institutional information as well as programs that hold additional programmatic accreditation. If you are unable to locate the information you need from the links above regarding accreditation, approval, or licensing for specific programs, you may contact the appropriate department listed in the Post University Directory. For information about the procedure for obtaining or reviewing documents describing accreditation, approval, or licensing for Post University, and accreditation in general, you may address inquiries to the Chief Regulatory Officer at eneely@post.edu. The Bachelor of Science in Child Studies and Associate of Science in Early Childhood Education programs at Post University are accredited by the Commission on the Accreditation of Early Childhood Higher Education Programs of the National Association for the Education of Young Children, 1313 L Street, NW, Suite 500 Washington, D.C. 20005, (202) 232-8777. The accreditation term for the Bachelor of Science in Child Studies program runs from March 2019 through March 2026. The accreditation term for the Associate of Science in Early Childhood Education program runs from March 2019 through March 2021.